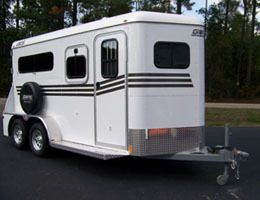 Two Horse with Side Ramp. 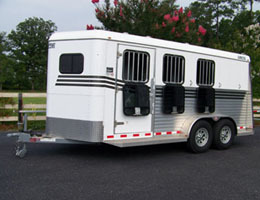 Two Horse Center Walk Through with Dressing Room. 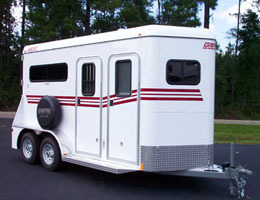 Two Horse with Dressing Room. 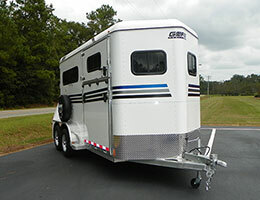 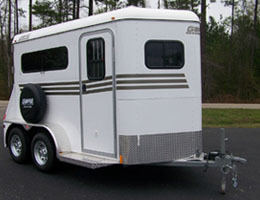 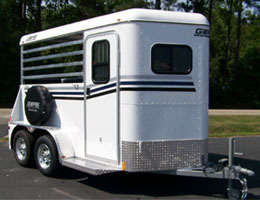 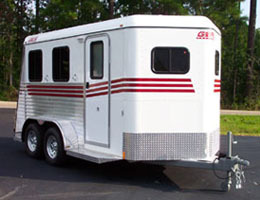 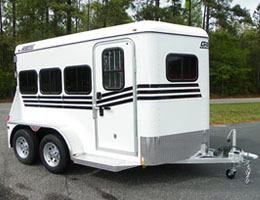 Two Horse Trailer w/ Side Ramp and Dressing Room. 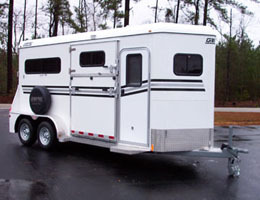 Two Horse Slant Load with Tack and Dressing Room.